Apple pressing on the hour - delicious freshly produced juice, bursting with flavour and nutrients. Apple tasting throughout - a chance to sample different varieties, with some unusual and rare specimens. The apples will be sold off at 4.30 pm, so come early. A brilliant talk, 'The Story of the Apple' from John Selborne from the Blackmoor Estate. John talked about his trip to Kastakhstan at our 2010 Apple Day to a packed audience. Apple cakes and buns at our sustainable cafe, all home-baked using ethical ingredients. This year we are also making a donation to World Compassion in Farming who are running a campaign against (another) mega dairy being planned in Wales. Kids' activities where they can make their own autumn wreathes, write their wishes on the Stationers Park Apple Tree or have their portrait painted. You can also find out about local groups, such as Stroud Green WI, the Meadow Orchard Project, the Friends of Stationers Park Volunteer Group, North London LETS, the Tree Trust for Haringey, the Urban Harvest and of course, Transition Crouch End. The London Orchard Project will also be there to tell us how to map orchards in the area and to try out some of their London Cider. And if you want a little souvenir of the day, there will be apple produce (jam and chutneys) and crafts to buy. Although Apple Day is a celebration of local produce and lots of fun, there is a serious point to be made. This autumn has seen nothing like the amazing bumper crop of the last couple of years, and is generally considered to have produced the worst crop for 15 years. Experts reckon the dearth is due to the cold and rainy summer when pollinating insects were not around to do their crucial work and help the fruit to set. 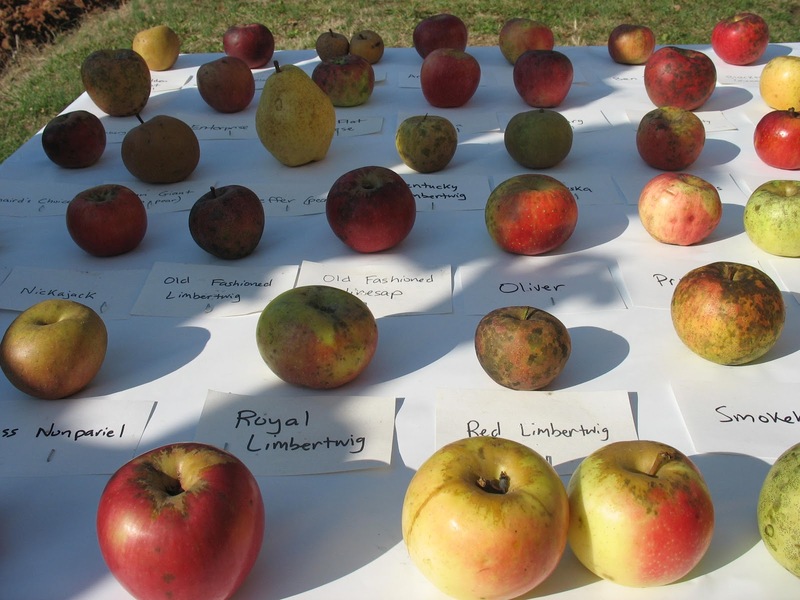 The consequences are going to be serious for the cider industry although one good outcome is that supermarkets are being less fussy about displaying less than perfect fruit. However, thanks to Blackmoor Estate, there will be apples at our Apple Day and interesting and unusual varieties too. We also hope to hear about a new variety of apple tree from the London Orchard Project which is particularly suited to the London climate. So on the strength of this, we will be asking you to do a couple of things before and after the event. After all this is your Apple Day! And secondly, if you like what you taste, add your name to our open letter to local green grocers in Crouch End, pledging to support them if they offer more unusual varieties of apples and plums. We loved the James Grieve for example currently being sold at Harringay Market every Sunday. We hope to see you on Saturday 20 October!